Yesterday AC Schnitzer took us by surprise with its unveiling of the tuning program for the BMW X2. 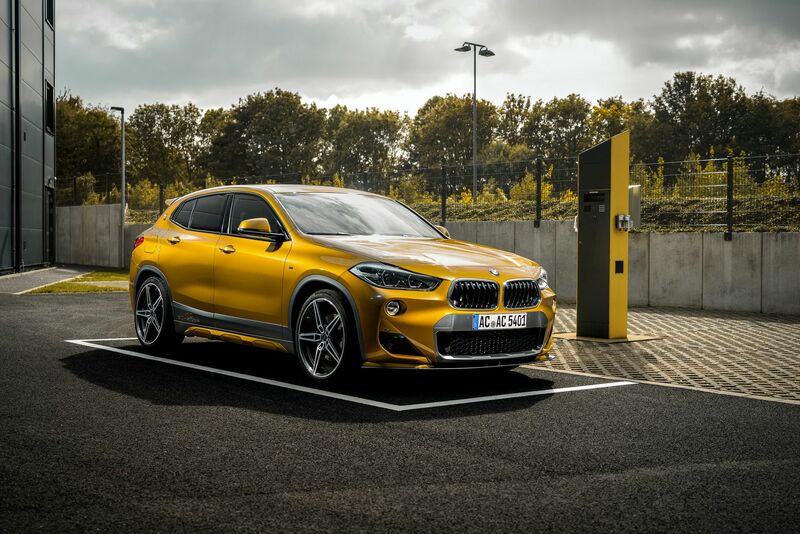 The German tuner showed the world that the X2 can look even better and get a small power bump in the process, despite it being a FWD machine at its core. Today we’re taking yet another look at it, this time in motion as the tuner published a short video of the car wearing its offerings and looking all nice and chic in what seems to be an underground garage. The BMW X2 can get a nice set of upgrades from AC Schnitzer now. The front end can be enhanced with the help of a new splitter that can only be applied to the M Sport bumper and can be joined by a set of triangular trims for the air intakes which may seem like a small change but do make a big difference in how the car looks. The wheels are also part of the program, customers being offered a choice of 19″ or 20″ set in a variety of combinations, the BiColor ones being featured on the car in the footage below. Round the back you can get a new tailgate spoiler which seems rather big at a first glance. You can also get a new set of tailpipe trims that could go nicely with a power upgrade. Even though a full exhaust isn’t on the table just yet, the team from AC Schnitzer is offering a power upgrade for the xDrive20d and sDrive20d models, taking their output from 190 HP to 222 HP, a considerable increase. In order to keep you safe with these new levels of power, the AC Schnitzer catalogue now includes a set of springs which can lower your car 20 mm up front and 35 mm at the back, for an even meaner look when cruising around town. Last but not least, you can also upgrade your interior with various AC Schnitzer trims and accessories.